Who is itching for baseball season and spring? We are!! 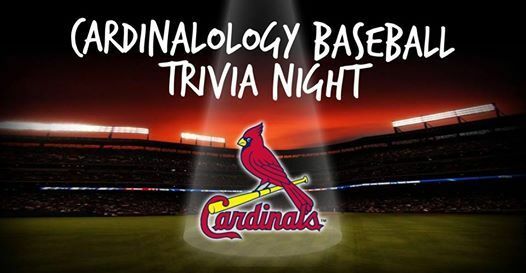 To kick off opening day we are hosting 2 nights of Cardinal Trivia. $10/person. Up to 8 people per table. Includes baseball park themed food buffet and draft beer specials. A winner each night with Baseball themed prizes. Pick which night works best for your table and sign up today.